The Mission and Vision of Synergy Clinical Services is multifaceted and includes commitments to the clients we serve, our employees as well as to the community. Synergy Clinical Services strives to improve the quality of life and overall functioning of individuals of all ages and backgrounds utilizing a caring, compassionate, and client-centered approach in a safe, supportive, inviting space. 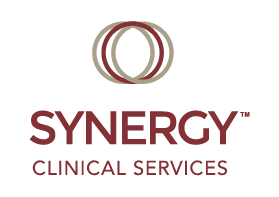 Synergy Clinical Services strives to provide an open and supportive professional environment with a focus on collaboration, personal growth and development, team work, engagement and overall job satisfaction. Synergy Clinical Services strives to be a model agency. Working closely with community representatives Synergy Clinical Services takes pride in the communities it services and works to be actively engaged and present throughout Central Iowa. Synergy Clinical Services provides services with respect to fundamental human, civil, constitutional and statutory rights of each of the individuals served.